Wascomat Commercial Laundry Equipment NC, Commercial Laundry Equipment SC - Tri-State Laundry Equipment Co.
Tri-State Laundry Equipment Co. supplies, designs, installs and services most all brand of Commercial Laundry Equipment for NC, SC & VA, especially Wascomat. Tri-State Laundry Equipment is the exclusive regional distributor for Wascomat OPL equipment ( On-Premise Laundry ). Whether it is Wascomat commercial dry cleaning equipment, Wascomat commercial washer or Wascomat commercial dryer, we can assist your needs. 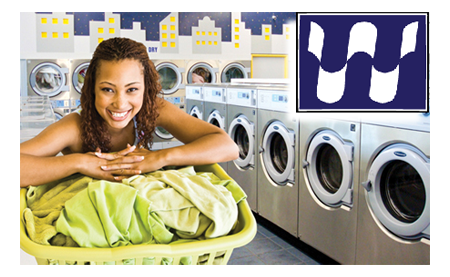 Wascomat is the world's leading manufacturer of washers, dryers and flatwork ironers - commercial laundry equipment for self-service coin, in-house and institutional laundries, and the environmentally safe, dual-use wetcleaning systems for drycleaners. Wascomat water and energy efficient washers are precision-engineered for long machine life and superior results. Wascomat gas efficient TD dryers are built for fast drying and low energy consumption. At Tri-State Commercial Laundry Equipment, our passion is laundry and dry cleaning equipment, sales, service, design, parts and installation, we live to fulfill our customer's needs, ideas and dreams. Commercial Laundry Equipment is our business, especially if you are in NC, SC or VA! Contact Us Today for any questions about your commercial laundry equipment needs.